After disposing of an unprofitable division and coming out the winner in a lawsuit, this company is trading at a very undervalued level. 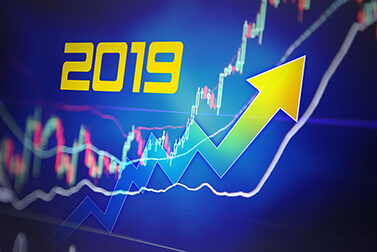 In my Wall Street's Best advisories, more than 70 contributors gave their top stock picks for 2019. Here is a sampling of them, and our top picks from 2018. This speculative stock has significant insider holdings and looks very undervalued. Our new Top Pick makes cutting-edge medical devices to prevent surgical burns. Our first Top Pick beat analysts’ estimates by $0.02 last quarter, and Wall Street expects the company to grow at a rate of 112.5% next year. Our new Top Pick will pay a hefty dividend in November, giving it a 7%+ yield. Our defense company is in the perfect spot for increased spending and pays a current dividend yield of 7.34% paid quarterly. This small-cap stock has a number of catalysts that should boost revenues and profits in the near-term. An update on a previous recommendation. Analysts expect growth of 70% for this industrial company next year. This defense company has a current dividend yield of 7.62%, paid quarterly. A new dividend payment makes our Top Pick very attractive, and our contributor has added a new Mid-Year Top Pick.